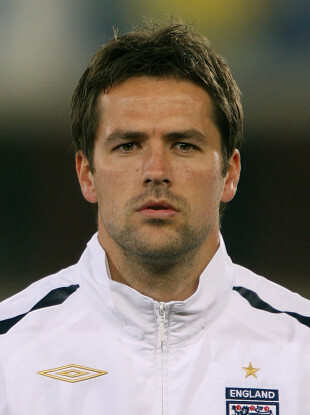 Michael Owen appeared 89 times for England but admits he did not always enjoy the baggage that came with international duty. ASK ANY CURRENT footballer on the record about playing for their country and they will probably tell you about how proud a moment it is to put on the jersey and how they have been dreaming of it since they were a child. In modern football, however, the reality is not so straightforward. Manchester United midfielder Michael Carrick, who won 34 caps for his country between 2001 and 2015 recently had some interesting thoughts on the matter. “I was finding it hard going away with England. I didn’t mind going away with United on pre-season for the three weeks or whatever but going away with England, it was almost depressing in a way, it made me really down,” he told the BBC’s Premier League Show last week. “It came to a point after South Africa [in 2010], I thought, I can’t do that again. People will say ‘pull yourself together and be grateful for it’. Carrick is not the only individual who holds this opinion. For many footballers, the international game and everything that goes with it can be a trying experience. Top-class players such as Paul Scholes and Jamie Carragher retired from international duty quite early, ostensibly to enhance their club careers, though the hoopla that perennially surrounds the much-hyped English national team probably didn’t help matters either. Speaking in Dublin on Sunday, Michael Owen says he could empathise with the views of former team-mate Carrick. The former Liverpool striker also found the experience difficult at the best of times. Owen scored 40 goals in 89 appearances playing for his country between 1998 and 2008. He famously burst onto the international scene at the ’98 World Cup, scoring a brilliant individual goal as England were narrowly beaten by Argentina on penalties in the round of 16. The ex-Real Madrid man was part of a golden generation of English talent that many critics felt underachieved at major tournaments. In addition to his ’98 heroics, Owen was part of the team that exited the group stages at Euro 2000, got dumped out of the 2002 World Cup at the quarter-finals, lost on penalties to Portugal in the knockout stages at both Euro 2004 and World Cup 2006, and failed to qualify for Euro 2008. “It’s very rare for people to say anything because of the fear of the backlash of a nation that would ‘do anything’ to play for England,” Owen tells The42. “Then you say ‘we’re bored in the hotel’. They’ll say ‘you’re in a five-star hotel’. Footballers live a bit like monks, we’re not allowed to drink, we’ve boring food, no sauce, boiled pasta, boiled chicken, boiled rice, boiled potato, and you go away with England for a week, you turn up at a hotel, you can’t really come out of your room, there are people there, you get mired with photographs, this and that, and it’s quite a lonely existence. “Your normal mates aren’t there. You train in the morning, you have lunch, then you’re killing time from one until six in your hotel room. “Now, you’ve got phones you can play with and go on the internet or whatever you want to do, but back in the day, there was nothing to do. A few people have cards, but you literally would just sit in your room, staring at a white wall for six hours. “Dinner’s at seven, half an hour dinner, then half seven until half 10, you sit there staring at the wall for another three hours. “You see airports, you see hotels, you see the training pitch. But really, you don’t see anything else as a footballer. No one will complain in fear of someone saying ‘you’ve all that money,’ or ‘you’re in a five-star hotel’. “If you’re playing, you can get through it, because you know you’re playing at Wembley at the end of it. Or you know in the training sessions you’re on the team that they’re working on and it’s interesting. “But if you’re not playing and you’re the sub all the time, you might as well be a cone. You’re on the team where they say ‘no, stop here,’ because [the other team] didn’t attack properly. As soon as you win the ball, it’s ‘right, stop again’. You’re just running around chasing shadows. “So it’s quite demoralising, international football, if you’re not playing all the time. I can totally understand it. Carra [Jamie Carragher] had it, everyone’s had it. “‘If you ask anyone: ‘Back in the day, did you like going on international duty?’ They’ll all say: ‘We dreaded it.’ You love playing on the Wednesday night for your country, that’s the best, but the week leading up to it is so boring. “It’s demoralising for a lot of people, especially if you’re never going to get a cap at the end of it. And ahead of the 2018 World Cup, Owen is not convinced the situation has changed drastically. “I’m sure people can occupy their time a bit better than they used to be able to. But unless you’re part of a card school, you probably just sit in your room and do nothing all day. These words are no big surprise to hear from Owen, who has always come across as decidedly extroverted. The star once claimed he had only ever seen eight films, so it seems natural that being cooped up in a hotel room with no one for company is essentially his idea of hell, while Carrick and others clearly think similarly. Owen always needs to be busy and his deep-seated passion for football makes the former star a natural fit for punditry. The role of the analyst has changed immeasurably since the onset of the Premier League era. Whereas once, you might catch up with an hour of football every week with Match of the Day and the idea of experts giving opinions on the sport seemed somewhat of a novelty, the situation has altered irrevocably in recent times with wall-to-wall coverage provided by Sky Sports News and BT Sport among others. As a consequence, at times, it feels as if there is as much focus and attention on the pundits as the players. This level of pressure was apparent last month, when Jamie Carragher reacted to being goaded by spitting at a football fan and his 14-year-old daughter. The incident was caught on film, with the Liverpool legend receiving a suspension from his employers at Sky as a result. While Carragher was rightly condemned for his behaviour, this type of scenario seems inconceivable 20 or even 10 years ago. “Football’s changed,” Owen agrees. “It used to be just about the footballer, but if you’re watching a game, everyone knows the referee’s name nowadays, everyone knows the pundits and people will listen and there’ll be column inches in the newspaper talking about the referee and talking about the pundits and it’s not just about the football. “Football has just gone huge, and when you’re in the public eye, you’re always going to be spoken about or recognised away from work and people associate you with certain teams. I suppose I’m quite lucky in that to the viewer, I’m seen as reasonably neutral, having played for quite a few clubs, whereas the likes of Jamie Carragher and Gary Neville are very much seen as one-club men. “You can be easy targets, let’s say, from that point of view. It’s the way the world is and the way it’s evolved. Football is such a big business now that even the pundits are getting targeted. “We’ve been used to it since we were players really. You retire and think that’s it, but it’s almost a continuation of my football career. A considerable portion of the abuse sports stars receive is likely far worse than the incident that caused Carragher to lose his cool, with the likes of England rugby coach Eddie Jones and Arsenal manager Arsene Wenger examples of individuals who have been filmed receiving particularly vitriolic abuse from so-called supporters. Closer to home, Eoin Hand has eloquently recounted the dreadful treatment he was subjected to during his reign as Ireland manager in the 1980s. “If I worked in a bank and people were beeping at me, I would think ‘this is not pleasant,’ Owen says. It’s the pack mentality. When they meet you one-on-one, they’re always pleasant. As soon as you put your uniform on, then people see you in a different light — they see you as ‘that’s not the badge that I support’. Despite the occasional unsavoury moments, Owen’s passion for football remains steadfast. He has set up a business where he coaches youngsters mainly from places like Merseyside and Manchester. As someone who was once a footballing prodigy, breaking all sorts of records at underage level, he is well placed to offer advice to these aspiring stars. Owen accordingly has plenty of ideas about the best way to develop young footballers — for instance, he does not like the idea of a precocious 14-year-old attacker pitting his wits against much bigger, stronger and older players, as tends to happen sometimes at underage level. “I’m a big believer for them to be in situations where they can flourish. If you’re the best 14-year-old centre forward, okay you can probably go up a year, maybe even play two years [ahead of your age group], but what’s the point? “Why would you go harder and harder? Eventually, you won’t score, or you might get one chance. That leads on to them being quite snatchy in front of goal and not making the right finish, playing it safe and doing all these type of things. It’s okay if you’re a centre-half, push them, but if you’re a centre forward, you should play where it’s not too easy, but you should be getting 10 chances [per game]. Nowadays, strikers of Owen’s ilk are becoming increasingly rare. The 38-year-old pundit believes ex-Chelsea player Didier Drogba was key in setting a trend whereby English teams predominantly went with one big physical striker, rather than the big-man-little-man combo that was prevalent along with the 4-4-2 formation in the 1990s and before then. “I think the fashion [for two up front] will come back in, because more teams are going three at the back. What managers won’t do is to compromise central midfield, they’ll all want three midfielders. “Everyone’s had a back four, three midfielders, so that naturally means you’ll lose a striker. Now, with three at the back, you can go three, five and two. “I did a game the other day, Chelsea-Burnley, it was mad — both teams had two strikers. 15 years ago, your shape or size didn’t matter, you could make it work as a centre forward. Whereas five years ago, if I had a son who was my height, I’d be thinking there’s no point being a centre forward. “There’s only one of them. If you’re a central midfielder, you’ve got three times the chance of being a professional footballer. And finally, given his clear love of and knowledge for the game, has Owen ever been tempted to go into management? “First half of my career, I’d think: ‘I’m going to go into management afterwards,’” he recalls. “But the answer is no and the reason is I would love to, but I can’t see how it wouldn’t be a waste of a lot of time and effort, because I don’t think you can ever get given a fair crack at the whip. By that I mean, I ain’t ever going to get the Liverpool, Man United or Man City job, or any Premier League job for that matter. If I go into management now, where would I go? Conference or maybe League Two, if I’m lucky. I’ve never played at that level, I don’t know any players at that level. I watched a couple of games and it ain’t football that I know. I’m used to a goalkeeper getting the ball, full-backs pushing up, centre halves splitting to the full-back positions, the sitting midfielder coming and getting the ball, that’s how you start your play. “But only five or six clubs in the Premier League play that. Swansea don’t play that. Brighton don’t play that. So I’d end up being in a division where I don’t have a clue about the opposition, tactics, players or style of play, I don’t know how anyone can be successful. “Teddy Sheringham’s the latest one to go, everyone will think he’s a bad manager now. He had a great football brain when he was playing, but now he’s probably tarred with a brush [having had unsuccessful stints in charge at Stevenage and ATK in India]. “If he can’t do it at a lower league club, [people think] he’s never going to do it at a top club. Getting to talk for a living about the game you grew up loving, however, is certainly not a bad alternative. Email “'You can't really come out of your room... It's quite a lonely existence'”. Feedback on “'You can't really come out of your room... It's quite a lonely existence'”.